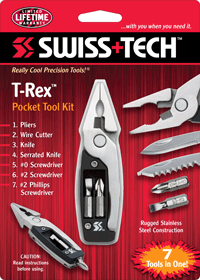 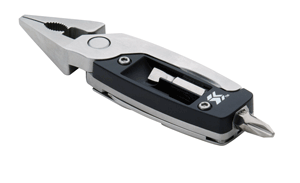 The T-Rex Pocket Tool Kit is a handsome, sturdy, palm-sized multi-tool that has 7 functions. 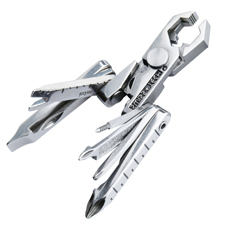 The stainless steel tools are complimented by an ABS housing that holds two screwdriver bits for easy access and storage. 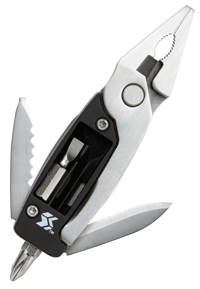 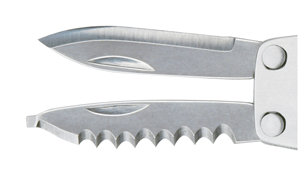 Pliers handle stays in place with an integrated locking mechanism.